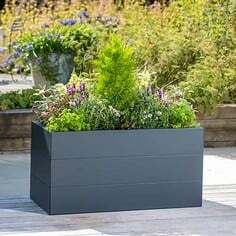 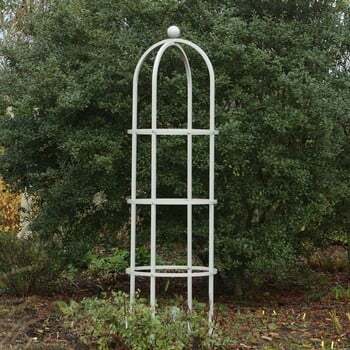 Our Grand Round Obelisk in Silk Grey is a stylish and practical addition to any garden, creating a stunning focal point in beds and borders and providing strong reliable plant support for all types of climbers. 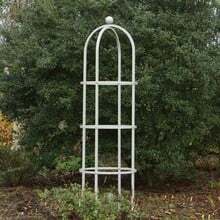 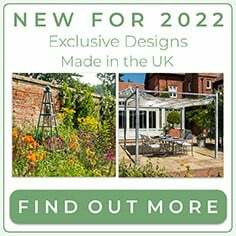 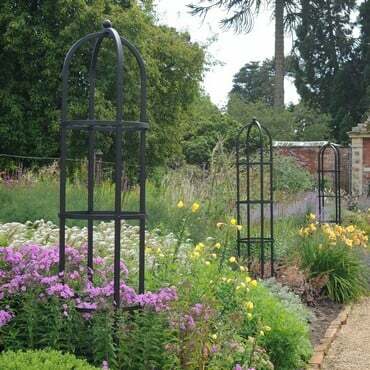 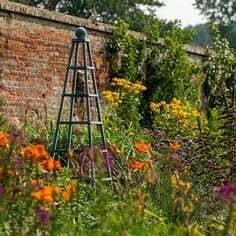 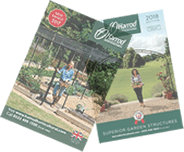 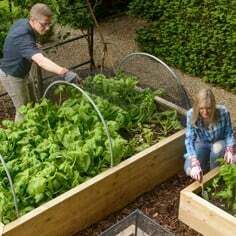 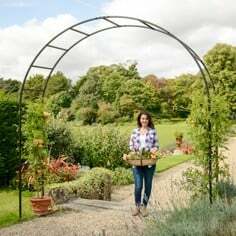 Exclusively designed and manufactured in the UK by us, these high quality garden obelisks are made to the same exacting standards as our best selling fruit cages and garden arches. The Grand Obelisk is made using strong, galvanised 25mm wide x 1.5mm wall square steel which is high temperature powder coated Silk Grey for a stylish, weatherproof finish. 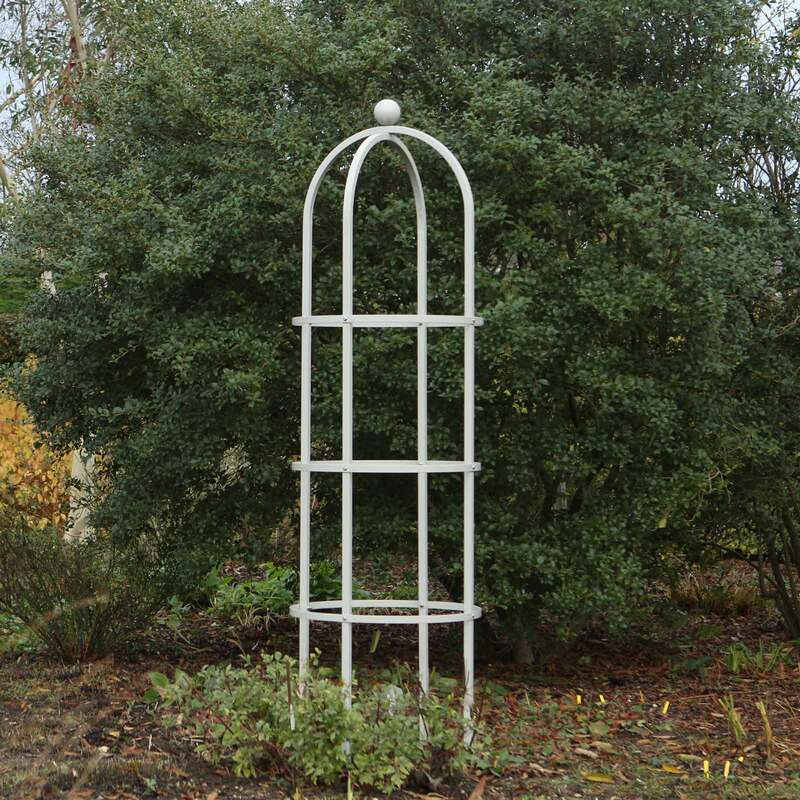 This imposing obelisk is designed to be inserted 30cm into the ground, standing 2.28m high when installed and can be concreted into position for extra rigidity if required. 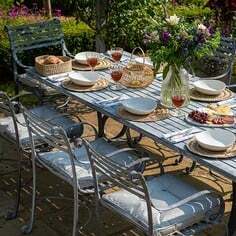 The obelisks are endorsed by the RHS and come with a 10 year structural guarantee. 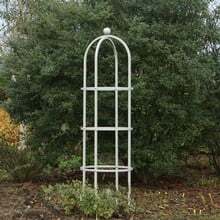 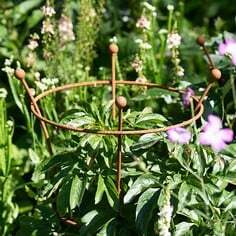 Easy to assemble using flush fitting connectors and stainless steel fixings, these obelisks really are built to last, creating an attractive focal point in your garden for many years to come.